I’m on a dip kick. 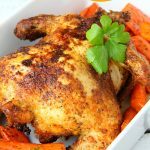 Just last week I posted this Chicken Salad Dip and here I am again with another dip recipe for you! 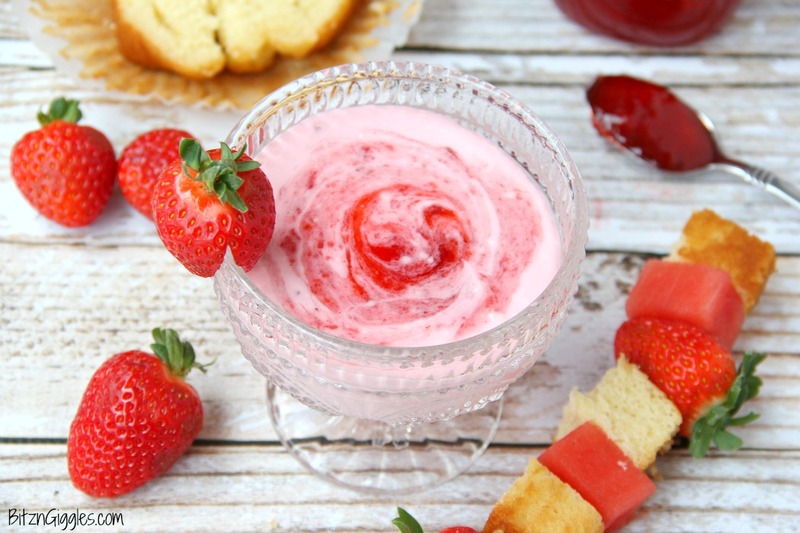 This Strawberry Cheesecake Dip, however, is much sweeter and a perfect accompaniment to fresh strawberries and pound cake squares. I was cleaning out the fridge the other day because it needed to be done. Have you ever opened the door to your fridge and literally couldn’t fit one more thing inside? I had begun stacking containers and trying to balance things on top of one another. If there’s ever a contest for the most condiments in a refrigerator I’m thinking I just may win. How does this happen? ANYWAY. . .while I was cleaning out the fridge, towards the back I saw a jar of Josh’s great grandmother’s strawberry jam. 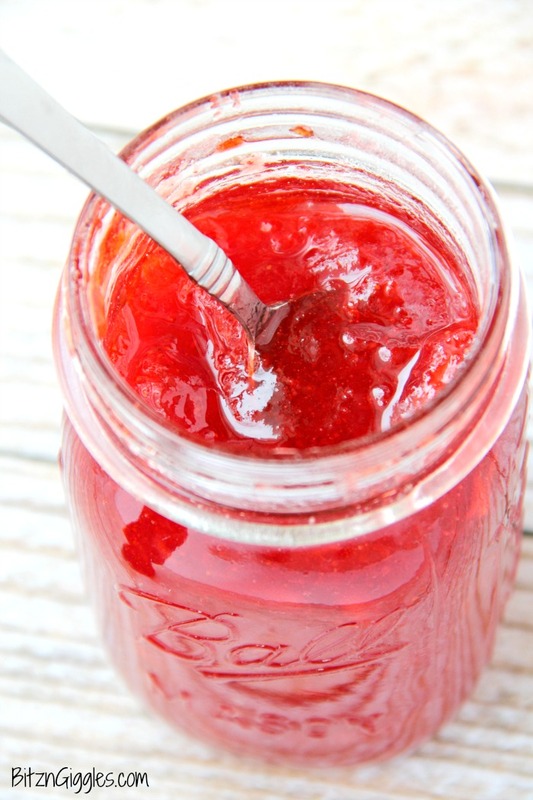 This isn’t just any strawberry jam. It is THE BEST. Although Grandma Deml is no longer here with us on earth, a few of us in the family still have some jars of her delicious jam in our freezers and fridges. I remember when Josh’s sister tried the recipe at her house. She couldn’t believe how much sugar Grandma was putting into this stuff. That must have been her secret, because this jam is crazy good. I’m just so happy to still have some of this deliciousness in our home. Thank you, Grandma! I’ve also been itching to use one of my new Pioneer Woman serving pieces. Isn’t this sundae cup pretty? I adore Ree and I’m thinking that she would be very happy to see one of her dishes holding such a delicious treat. 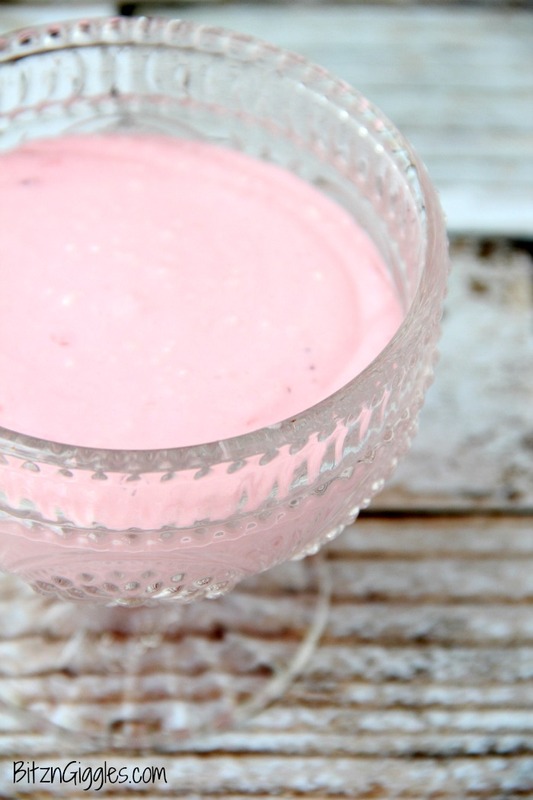 After mixing all of the ingredients together, you take two more tablespoons of jam and just swirl it into the top of the dip! It’s like the perfect finishing touch! 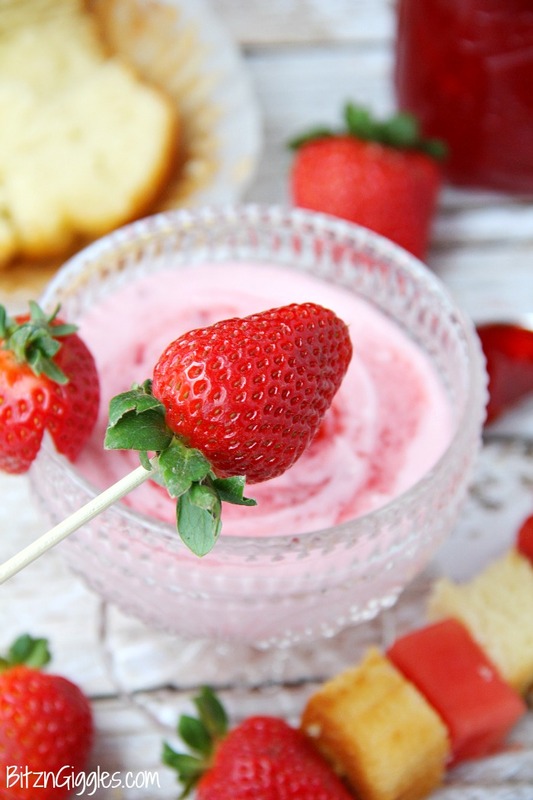 Some of my favorite things to dip are strawberries, watermelon and pound cake pieces. 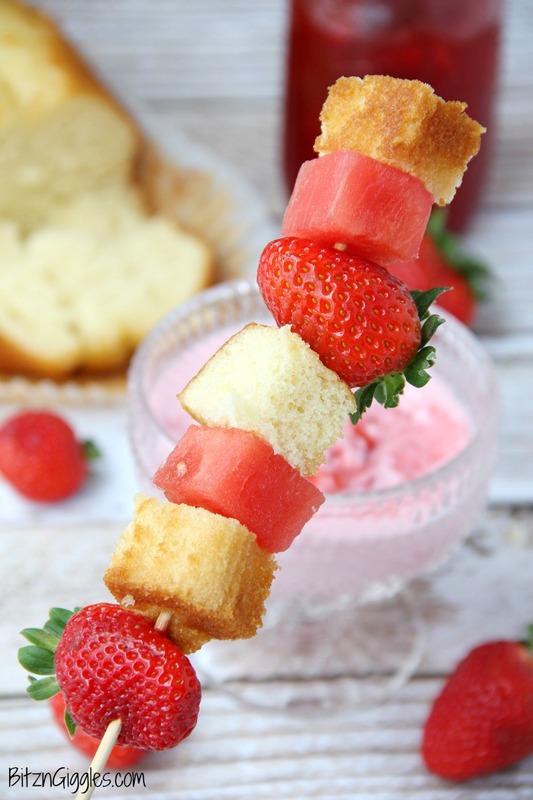 Just start sliding all that sweetness onto skewers and start dipping! Let me tell you what. This recipe makes a ton so if you’re just serving a couple, you can always halve the recipe. Or just expand your invite list. . .if you’re having a party, that is. Otherwise, it’s perfectly fine to keep every ounce of this dip for yourself. I won’t judge. In fact, I want to try using this as filling to a layer cake. If only I were an expert at making layer cakes. Or how about a parfait? Yep, that sounds a little easier. I think that may have to happen this spring. 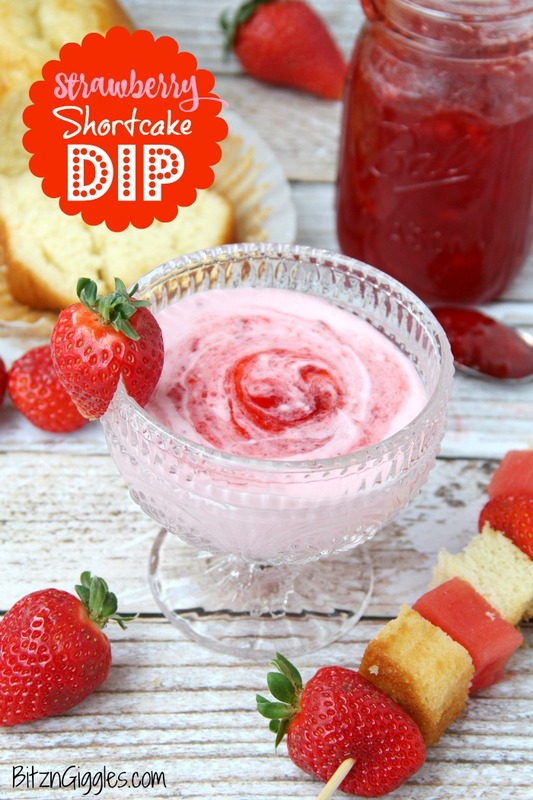 Whether you’re using homemade strawberry jam or jam off of a store shelf, I know you’re going to love this dip. 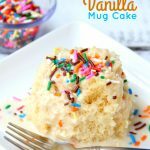 It’s so light, sweet, fluffy and absolutely delish! 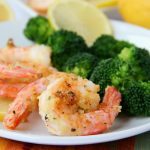 You may as well print off a couple copies of the recipe. I’m fairly certain your friends and family will be asking for it after just a taste! 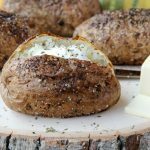 This dip comes together in minutes! 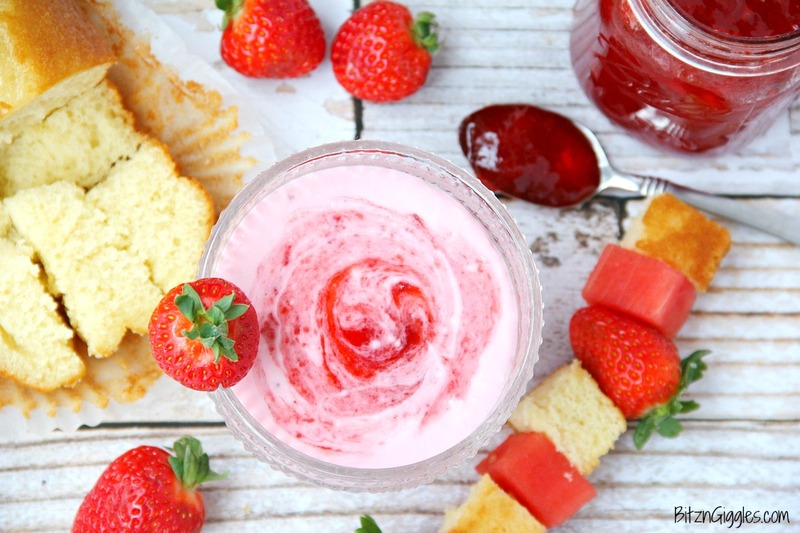 Swirl in your favorite strawberry jam, cut up some fruit and cake and start dipping! 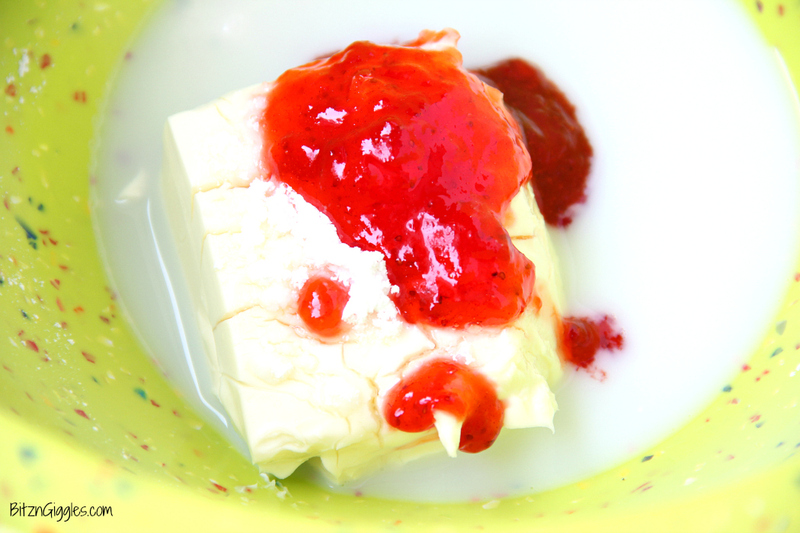 With a hand mixer, combine cream cheese, sugar, milk, 2 tablespoons jam. 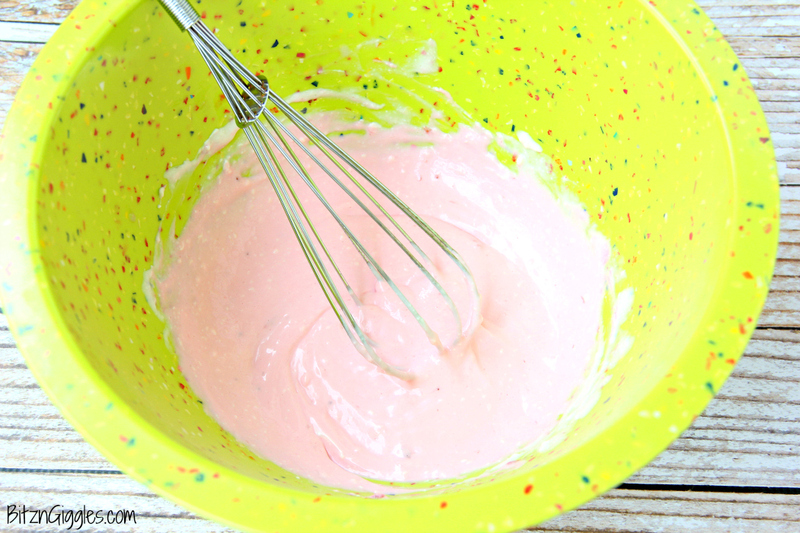 Fold in the whipped topping and food coloring. Swirl in the remaining two tablespoons of strawberry jam before serving. 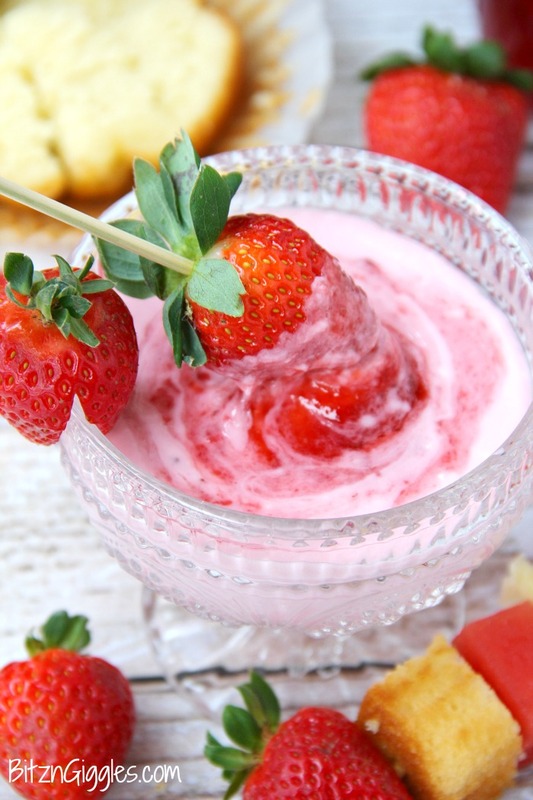 Serve with fruit (watermelon, strawberries, apples, etc.) and pieces of pound cake.